KIPS BAY, Manhattan (WABC) -- A man got stuck in an air shaft after apparently attempting to use it to climb down from the roof of his Manhattan apartment building early Tuesday. 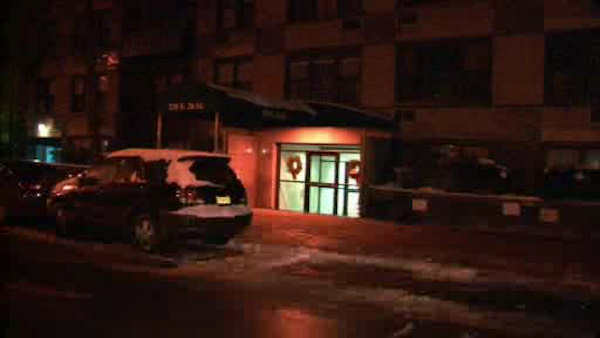 Authorities say the 30-year-old man was discovered trapped inside the shaft behind the wall of a first-floor apartment on East 26th Street in Kips Bay just after midnight. The man, who had just moved into the seven-story building, was hanging out with friends on the roof when he decided to climb into the air shaft. Firefighters had to remove a wall to reach him after he got stuck. The rescue operation took 40 minutes. The man was uninjured, but he was taken to Bellevue Hospital for evaluation.